Bacillus thuringiensis (Bt) is a natural occurring, soil-borne bacteria that has been used since the 1950s for natural insect control. It consists of a spore, which gives it persistence, and a protein crystal within the spore, which is toxic. That toxic protein differs, depending on the subspecies of Bt producing it, yielding a variance of Bt toxic to different insect species (or none at all). When the bacteria is consumed by certain insects, the toxic crystal is released in the insects highly alkaline gut, blocking the system which protects the pest’s stomach from its own digestive juices. The stomach is penetrated, and the insect dies by poisoning from the stomach contents and the spores themselves. This same mechanism is what makes Bt harmless to birds, fish and mammals whose acidic gut conditions negate the bacteria’s effect. Recently, Bt has been questioned because of its inclusion in Monsanto’s genetically modified corn and cotton. The difference between the Bt used by organic farmers around the world and that genetically inserted into Monsanto’s corn is dramatic. Naturally occurring Bt is contained within the bacterium. The Bt gene inserted into genetically-modified corn contains only the final toxin without its containment. Bt has a short half life when exposed to sunlight and the elements. By the time the insects that have consumed it are gone, so is the Bt. Its genetic counterpoint persists within the corn. Insects have developed immunity to the genetically-modified Bt–containing corn when the GMO corn has, against best agricultural practice, been planted in the same plot year after year. Targeted use of Bt insect control products used on appropriately managed plots have not resulted in insect resistance. Depending on which strain is used, Bt continues to be effective on cabbage worms, tent caterpillars, potato beetles, mosquitoes, black fly and a variety of other insect pests. 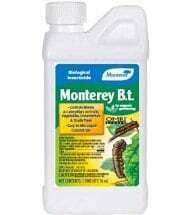 Bt-k is a naturally occurring soil bacteria ideal for controlling tent caterpillars, gypsy moth, cabbage looper, tomato hornworm and other leaf eating caterpillars on trees, shrubs, tomatoes and other vegetables. Bt-k is most effective when applied to caterpillars during their 1st and 2nd instars, when they are still small. It must be ingested by the insect, as it is a stomach toxin. Harmless to humans, animals and beneficial insects. Bt-k biodegrades quickly in sunlight and may require reapplication under heavy insect pressure. To maximize effectiveness apply in the late afternoon. Several vendors offer Bacillus thuringiensis kurstaki that is approved or use in organic production. Bt-i is a highly specific biological pesticide for use against mosquito, black fly and fungus gnat larvae. It may be applied safely to irrigation and roadside ditches, pastures, marshes and ponds, water gardens, flower pots, bird baths, rain gutters…any place there is standing water! 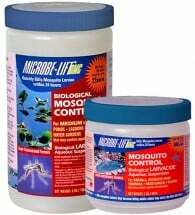 Once ingested, Bt-i kills 95-100% of mosquito larvae within 24 hours. Highly effective because it kills these pests before they become biting adults. Will not harm people, pets, wildlife or fish. Mosquito Dunks are a commercial form of Bt-i. The Colorado potato beetle has developed unprecedented resistance to multiple applications of chemical insecticides. Bt-sd and Bt-t are toxic to a limited range of leaf-eating beetle species and are now considered to be the most effective control for this destructive insect pest. Can also be used to control the elm leaf beetle and may be used on potatoes, egg plant, tomatoes and elms. These biological pesticides should be applied to the young larval stages, as they have no effect on adult beetles. Safe for people, pets, wildlife or fish. The milky spore disease of the Japanese beetle was the first microbial control to be developed commercially. Milky spore is the name of the disease to which Japanese beetle larvae succumb when attacked by Bacillus popilliae. 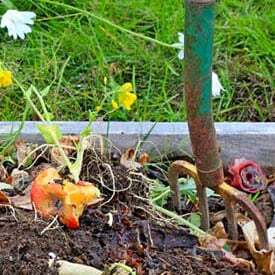 The bacteria spreads naturally as each infected beetle larvae dies, decomposes and releases billions of new spores into the soil. Time must be allowed for this process to completely saturate a treated area, but only one application is required and the spores continue to multiply on their own, as long as larvae are present. When there is no longer a grub infestation, the spores remain dormant waiting for subsequent populations. Open water doesn't have to be an open invitation for biting, disease-carrying insects! No link or supplier is listed for Bacillus thuringiensis var. san diego. Is this strain available for home gardeners? At one time we did offer a product containing Bacillus thuringiensis var. 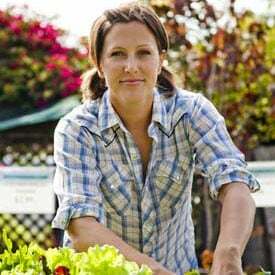 san diego for home gardeners. However, it wasn’t very popular and was eventually discontinued by the manufacturer. Spinosad is sold as an effective replacement for the organic control of Colorado potato beetle. Do you have an alternative OMRI approved product for control of fruit tree caterpillars? 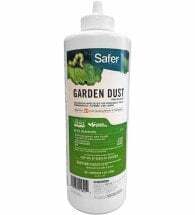 Monterey Garden Insect Spray contains spinosad, an OMRI listed biological pesticide for use on fruit trees. I quite like the production of Bt products. How Bt toxin is produced? Please guide me. Is Bacillus thuringiensis effective in the control of iris bore, Macronocture onusta? Or is some other form required? Spinosad is toxic to bees whereas BT sd is not. Please do not recommend Spinosad and bring back the BT sd. Hello, I want to get a list of Bti products in market worldwide. I need to submit this data in my project report and I searched a lot but couldnt get. Can you please send me the list of current Bti products in market? I want a list of BTi products for use in US Zone 7b, against sawflies and other rose skeletonizing bugs. I have the powder form of bacillus thuringiensis, can someone please how I can use this on my plants, I have no instructions. Hello I am so happy to see that this info.!! Could this bacteria possibly be applied to pets or in the home ( we live in an apt) to solve a problem with ticks? Here in Charlotte NC they are quite a problem! I am looking for an organic solution. Oh please can you offer an organic solution? We are using diatomaceous earth and Wondcercide with limited success. A natural predator, disease, or other biological for any solution would be wonderful. Have you seen our How to Get Rid of Ticks page? 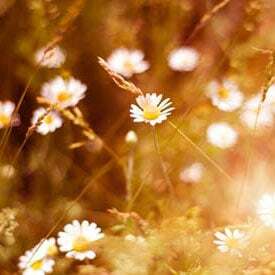 Diatomaceous earth should solve your flea and tick situation organically, without harm to pets. 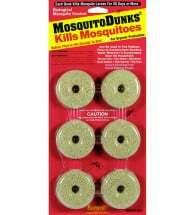 Could I use “mosquito dunks” crumble (a small amount) in houseplant soil to get rid of Nat’s larvae? I must have over watered and just today, uprooted all my houseplants and spread them out in the sun, cleaned or changed all pots and plan to re-pot with fresh “moisture control ” soil. I have sprayed the roots with a combination of water, peppermint tea, cinnamon & sesame oil. What do you think? I read I can get ride of the fruit fly type things that grow on my mushrooms I raise in the house with a solution of Bti if I spray it on them. Do have it in liquid form? Can it be sprayed directly or does it need to be diluted? We no longer have it in liquid form… but do have it in a granular. I’ve attached a link that should help. Is Bt-K toxic to bees?? Milky Spore has been discontinued in this area? It worked great controlling the moles. We applied it for a few consecutive years will that be enough to control beetles, grubs and moles and how long will it last? Is there another alternative and how often should it be applied? Thanks! Milky Spore spreads naturally as each infected beetle larvae dies, decomposes and releases billions of new spores into the soil. Time must be allowed for this process to completely saturate a treated area (2 to 4 years), but only one application is required as the disease continues to multiply on its own, as long as larvae are present. When there is no longer a grub infestation, the disease remains dormant, waiting for subsequent populations. 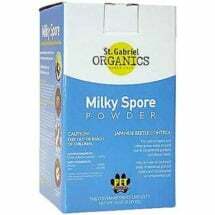 Milky Spore can be purchased here. Will the Miky Spore effect butterflies? Milky Spore (Bt-sd) will NOT harm butterflies… just Japanese beetles! A lady gave me some variegated blue agave plants years ago at our old house. I brought them with me to our new house in the year 2000. Agave beetles infested the plants in the last few years and killed all of the baby Agaves coming up from the base of the main two plants. Recently they both bloomed, which killed the plants, so I pulled them up but kept them to see if the seed pods they set would develop. To my surprise the formed baby plant-lets on the blossom spike!! But the beetles also killed a “volunteer” yucca plant, which came up in my hedge / flower bed and bloomed twice a year for several years. I found the larvae in the base of the plants after they died. Some kind of boring insect killed of my apple trees and several rose bushes. I think they are called cane borers. Can you recommend products for the agave beetles and the cane borers on the roses? What’s best to use for black gnat fly aphids? Soil born and eating my root system? It’s causing a lot of problems for me. Please respond if possible. It sounds to me like you’re having problems with fungus gnats. 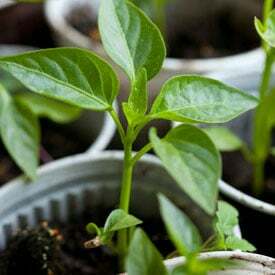 Here’s a link that should help https://www.planetnatural.com/pest-problem-solver/houseplant-pests/fungus-gnat-control/. We have a collection in an Archives in South Africa which has been infested with Book Beetles and mold please could you recommend one of your products. I’m looking for organic products for mosquitos to kill in paddy fields. I live in an arid climate but need to kill a severe infestation of earwigs which feed on my roses and clematis, particularly on young clematis vines. Sluggo plus and some other products contain Spinosad but you have to reapply after rain or watering so doesn’t seem to be practical. I use small cat food cans to contain oil etc which is effective but limited as I have to pick up before/after water and becomes time consuming. Also, I need to use mulch for water retention so creating an arid environment is great but not of much use for me. I am wondering if applying a bt spray such as Monterey bt would be effective. Will earwigs eat the leaves and die especially if I begin using early in the season. I currently use a Bonide systemic product to control western flower thrips but haven’t evaluated it in terms of earwigs. It does not appear to control the earwigs but does control the thrips. MONTEREY B.t. is an easy-to-mix liquid concentrate that kills worms and caterpillar stage insects — it will not work on earwigs. I have attached a link that should help. 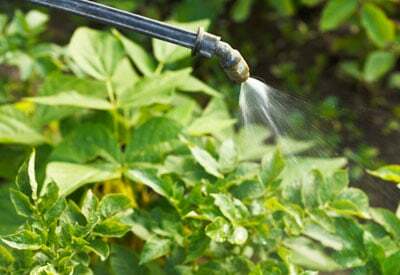 I was wondering what spray would be beneficial to control spider mites? Here’s the natural, organic way to get rid of spider mites FAST! I am searching for a method to calculate the amount of a Bti product to apply to a flowing stream in order to reach a concentration of 0.75 mg/L or higher, for the control of black flies. This will be done in accordance with and with approval of the State regulatory agency. would you be able to point me in the right direction? I’m looking for BTi to control coffee borer beetle in Organic Coffee. Do you have BTi in a dry powder form? I am trying to control bagworms. Which product do you recommend? 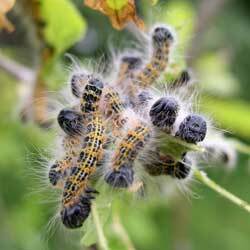 Bt kurstaki (Bt-k) for leaf eating caterpillars on trees, shrubs, tomatoes and other vegetables.